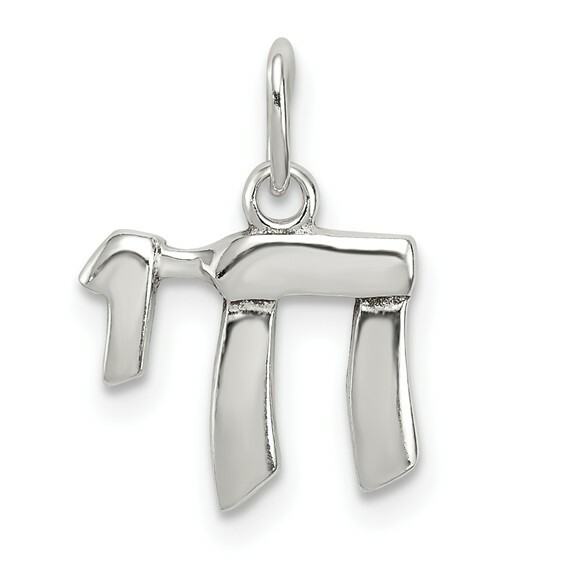 Polished, solid sterling silver charm. Weight: 1 gram. Measures 5/16 inch tall by 3/8 inch wide without bail. This item is petite, less than half the size of a quarter. Popular to Jewish tradition, chai is a symbol of well-being and best wishes. Chain not included. Made in India.